Don’t we just love movies about heroes and their adventures? There is something so appealing about watching them transform from ordinary individuals into lifesavers with secret identities. Sometimes we even wish for the faces behind the masks to be revealed to the people around them so that they be duly recognized for the good deeds they do. However, part of the charm of their stories is that their identities will always be hidden to most of the people they save yet they will continue to do the good things they do. Surely you've seen and heard of Zorro and Robin Hood, two unlikely heroes. It is nice to note that despite them being outlaws, they have always lent more than a helping hand to those in need. Let’s take a look at their profiles and how they came to be. In 1919, writer Johnston McCulley created the fictional Zorro. Zorro is the secret identity of Don Diego De la Vega, a nobleman living during the Spanish colonization in the state of California. This Spanish heroic character first appeared in McCulley’s book titled The Curse of Capistrano. Robin Hood, on the other hand, is not a product of one creative mind, but was a result of England’s rich folk tradition. According to legend, during the Medieval period, Robin Hood became a bandit during the period’s Third Crusade, when King Richard I of England left and the king’s brother unlawfully took over. Zorro is distinguished to be a brazen, lithe fighter who characteristically carries a sword—and sometimes a whip—and rides on a black stallion. The name “Zorro” translates to “fox”, and he exhibits fox-like qualities such as flexibility, speed and agility. His ensemble consists of a long black cape, a black Gaucho cap, and a cowl mask covering half his face. Unlike the mysterious Zorro, Robin Hood is often portrayed to be childlike and nimble, always donning green clothes. He is assisted by a group of fellow outlaws collectively known as the Merry Men. He is famous for being a burglar “with a twist”—he stills from the rich and wealthy, but instead of consuming what his loot, he gives it away to the poor and destitute. Although Robin Hood and Zorro came to life in different historical backgrounds of time and place, there is one concept they share, and that is the fact that they both abhor injustice. Their heroic actions are not necessarily directed towards their own wants or needs, rather they focus on the plight of members of the society in which they move in. 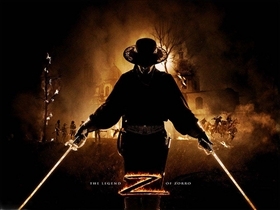 Moreover, Zorro is sometimes characterized to be similar to the “Mexican Robin Hood” Joaquin Morietta. In a way, both Robin Hood and Zorro are admired as crusaders for integrity and justice. Both Zorro and Robin Hood help those who are helpless; Zorro in terms of crime fighting, Robin Hood by giving to the poor. Zorro has a secret identity, while Robin Hood does not. 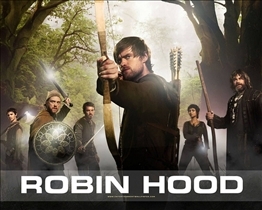 Zorro goes on adventures alone, while Robin Hood is sometimes accompanied by a group of fellow outlaws named Merry Men. Which hero gave more money to the poor?